Sorry, but any song that includes the line “I cannot Camembert it any more” needs to win a prize of some sort. I started a tradition at work about two years ago called Stinky Cheese Tuesday. Every Tuesday I bring in between two and four odd, but not necessarily stinky cheeses for faculty, staff and student employees to try. Over time, we’ve tried a ton of different stuff, some of it universally loved, some of it liked by only a few, but all of it interesting and horizon expanding. Yesterday, for Fat Tuesday, I brought in a Porter Cheddar where they take the curds and soak them in beer before placing them in the mold. On any other day this would have been the fan favorite. Yesterday was not a normal day. I had run into the International Cheese Monger by a stroke of luck when I went to procure delectables. He suggested that I try out No Woman. I was a bit skeptical seeing as the label does not give much context at first glance. 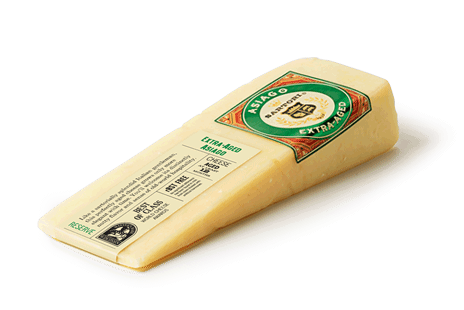 It is a smooth, mild cheddar chock full of Jamaican Jerk seasoning hence the name, No Woman – No Cry. I figured that I’d take the chance. I got to work, settled in, and began the chopping of the cheese. Upon cutting the plastic, the aroma was gorgeous. I had thought that it was going to be a spicy-hot cheese, not a spicy-flavorful experience. I popped the first little chunk in my mouth and swooned! I swear to all that is good that I almost teared up with joy! 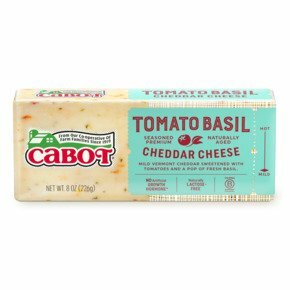 This cheese is one of the best things in the universe, and I can state this with no reservations. The first thing that hits is the quality of the cheddar. It doesn’t have hardly any of the sharpness that typically characterizes the species, but it is creamy, smooth, has just the right amount of softness, and a delightfully subtle flavor. Then the allspice kicks in and your taste buds start vibrating. I couldn’t even begin to identify all of the flavors that start skipping through your mouth at that point, but they include some smokiness and a slightly sweet back end that just rounds out the experience perfectly. It is one of the most amazing foods I’ve ever had the pleasure of putting in my mouth. Most folks will stop by my desk and politely take just one cube of each cheese that I have to offer. There was not a single person that didn’t come back for seconds or thirds of No Woman. It is a beautiful thing.